Read the post Beth Watkins wrote for the Wall Street Journal. And listen to the interview Paresh from Curry Smugglers did with Bollywood actor Gulshan Grover. 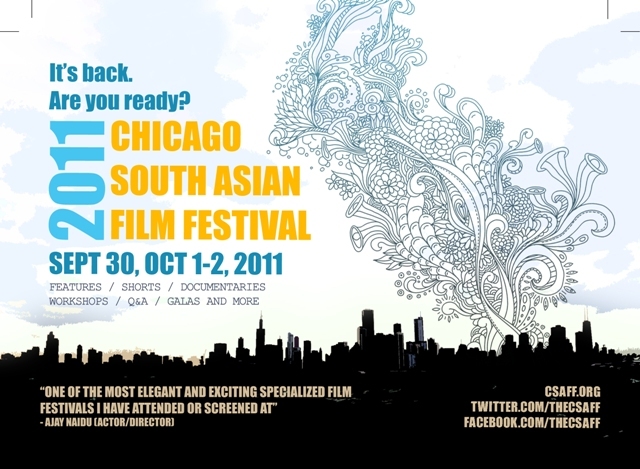 Ah yes, and if you’re living in or around Chicago, check out a few flicks. This entry was posted in Arts and Entertainment, Film and tagged Beth Watkins, Chicago South Asian Film Festival, Curry Smugglers, Gulshan Grover, Paresh Gajria by Phillygrrl. Bookmark the permalink. Just saying, that this new blog format is not working. The prior one was your best format. Especially with the latest comment scroll and the side news bar. I for one think that the new blog format is A-OK.. Such a useful information sharing and its helpful for everyone.